What can I say? It’s a damn good show. Monday was a busy day. I relaxed with a couple of episodes of Friday Night Lights, season two. Just what is that ’60s super sleuth up to now? My next installment in the Ironside series is up on The Beachwood Reporter. After a very long hiatus, I’ve resumed my episode recaps of Ironside’s first season (1967-68) over on The Beachwood Reporter. If you’re new to my series rundowns, you might start here, which gives a little historical background to the project and includes the first episode. My next installment in the Ironside episode guide on The Beachwood Reporter. I caught the re-run of the pilot episode for Fox’s new series Glee and watched it all the way through a second time. So yeah, I’d say I’m looking forward to this musical comedy on a weekly basis. Glee reminds me of how much I enjoyed watching the early years of Gilmore Girls and Ugly Betty–pure entertainment, pure fun. I’m sorry that I didn’t know about the series starting up this evening to give a heads-up here but it’s easy to catch past episodes on the website or over on iTunes. Judging from GG and UB, this series has three good years ahead of it before it turns completely annoying and stupid. When I heard they were making a narrative film based on one of my favorite documentary films, I was extremely skeptical, especially considering that Drew Barrymore was starring as Little Edie. After seeing the trailer, all reservations are gone and I cannot wait to see it. You can bet that when I return from my vacation, watching HBO’s Grey Gardens will be at the top of my immediate to-do list. Ironside and the gang are in Vegas, baby! 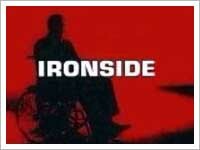 I need only two words to describe this episode of Ironside: Harrison Ford. Like I’m sure you’ve never seen him before. That should be enough to get you to pop over to The Beachwood Reporter to read my latest installment in the Ironside episode guide, if not get you to seek the episode to watch for yourself. I hope the rumors about an Arrested Development movie are true. I really miss the wacky Bluth family. Thank god for 30 Rock, the closest thing right now to great absurd comedy since AD prematurely wrapped a few years ago. It’s pretty terrible but I can’t stop watching. I mean, after fifteen years I have to see it through to the bitter end. And thankfully, this season is the bitter end.